Pulsar: A Brand on the Wane? HomepranavPSPulsar: A Brand on the Wane? the nation some idea of what a sports bike was. The motorcycle had a 150 cc engine. named 135 LS. The bike weighed 122 kg and had a fuel economy of 68 kmpl. massively popular R15 and the FZ. The Pulsars were facing some heat from Hero Honda also in the form of Karizma. which was significantly more powerful than any of the other Pulsars built till then. It marks the beginning of the brand's association with the Austrian firm, KTM. The engine of 200NS was a revised edition of KTM 's Duke 200.
system. 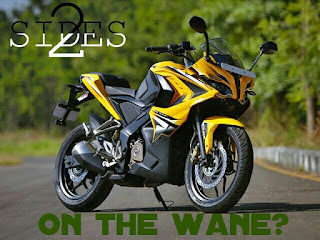 In 2014 auto expo, Bajaj unveiled two concepts with a much higher engine capacity. to be a power cruiser. At the time the motorcycles were described as "near production "
the Pulsar range in terms of performance. its decision to shelf the NS range. In 2017, to the delight of Pulsar fans, the naked range made a return with the name of NS 200. Pulsar series has come under fire very often because of its various fails. Pulsar 220 was one of the most popular of the lot. It gives 21 ponies at a very cheap price. laziness to start on a cold morning. Owners report that it "loses" power after a few thousand kms. These are not exclusive problems of the range and is applicable to any motorcycle. engines to have a better fuel economy, at a loss of power. That is something which makes no sense at all. If they want to build a performance bike, they should be doing everything necessary. Challenge the limits like how BMW S1000 RR did. Of course, at a much smaller scale. Instead, they try to be both fuel - conservative as well as performance - oriented. initially seen as a drawback because the youth took to KTM for its mean performance. dwindled to four. 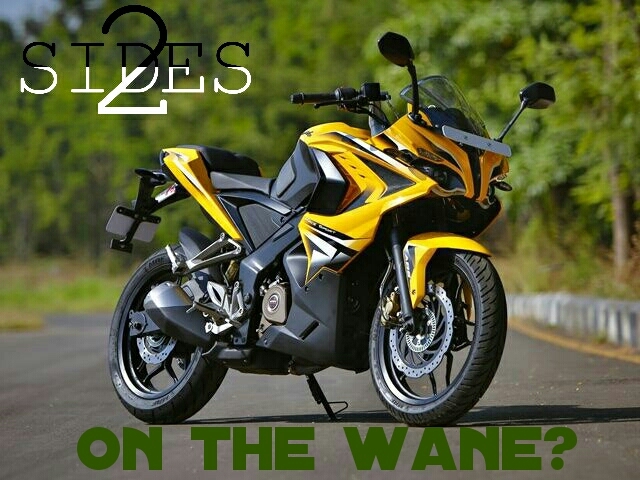 India's first sports bike is facing a mid life crisis. Hopefully Bajaj will sort it before it's too late.